There is no turning back time when it comes to the severe, gradual heat damage that happens after too much heat use, at too-high temperatures, with too few heat protectants. But what about that one time you might have just made one too many passes over your hair? Or maybe you know you did everything right, but you’re just nervous about the possibility of your curls and coils not bouncing back quite the same way. But don’t worry, all hope is not lost on your short-term straightened hair. Try taking these six steps to rehabilitate your curls after a heat binge. You don’t have to do all six at once, feel free to pick and choose which ones may work for you! As much as we love our co-washes and conditioners, the first wash going back to your waves, curls, and coils after straightening should always involve a shampoo. You can still avoid a sulfate shampoo to make sure you treat your curls gently, but the key here is that you will need a deep cleansing. Try the Bounce Curl Pure Silk Moisturizing Shampoo. One--buildup removal. If you’ve ever had that semi-frightening moment where you first rinse your straightened hair and it doesn’t immediately revert, you’ll understand why shampoo is necessary. Most heat protectants and anti-frizz products have silicones and other occlusives that work to keep moisture out of the hair. Many oils and butters act in the same fashion, hence their propensity to seal the hair. 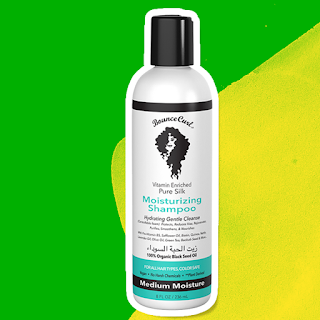 Using a shampoo helps lift the moisture-blocking product buildup, so that the water can penetrate the hair and help restore the original texture. Two–since shampoo has a negative charge (anionic), it binds all of the positively charged (cationic) buildup to itself, removing it from your hair, which also has a negative charge. Since the hair is stripped, the next positively charged conditioner you place on your hair will be more effective than if you had not used shampoo to cleanse. Heat straightening, combing, and just general wear and tear can cause cuticle damage to the hair. 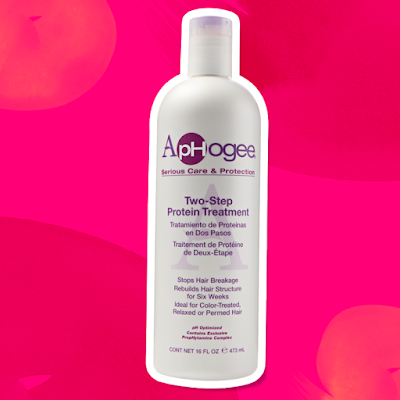 An intensive protein treatment (reconstructor) will help patch up those chips, cracks, and breaks in the cuticle of the hair temporarily. At some level, heat straightening (especially if you cranked the heat up a little too much) can alter the structure of the proteins in the hair, and a reconstructor has the potential to help them bounce back to normal – which in turn encourages your old texture return. Moisture is an integral step in getting your hair to return to normal. And of course, this step will work better if it follows a good cleanse. When hair is blow dried and flat ironed, moisture leaves the hair. And after slathering hair with products to keep frizz at bay, natural hair begins craving moisture. Restoring moisture balance to the hair with a super nourishing and penetrating deep conditioner will put parched strands back on the right track. Although most deep conditioners are designed to reach maximum effectiveness in 30 minutes or less, I recommend that after a flat-iron driven draught, an hour or more is perfectly fine. Just don’t deep condition overnight to avoid hygral fatigue. If your hair still isn’t feeling or looking quite up to par, a hot oil treatment may help get things back in order. Nourishing the hair with a warm concoction of oils can help restore shine and elasticity, enhance smoothness, penetrate the hair, nourish the scalp, and more. 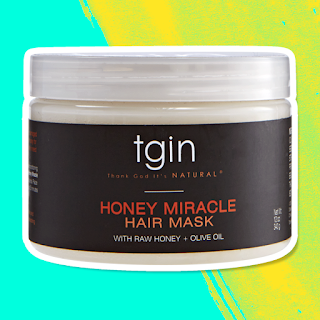 A hot oil treatment can penetrate the hair, moisturizing and nourishing on the inside and out. Different oils can boost the effectiveness of your curl, coil, and kink loving concoction. -Cover hair in a plastic cap or saran wrap. -You can sit under a dryer with the oil, or use a satin scarf or bonnet to help keep your head-generated heat in. If your hair still isn’t responding like you had hoped, the greenhouse effect may help. A spinoff of sorts of the hot oil treatment, greenhousing involves trapping hair in an ultra-moisturizing environment to aid in absorbing as much moisture as possible. This can be achieved at simplest, by covering damp hair with a plastic cap and scarf. You can add to the greenhouse effect by incorporating a little bit of butter, oil, or conditioner of your choice to the damp hair, or by steaming your hair with a handheld or tabletop steamer. You can greenhouse your hair for as little as 30 minutes, or as much as overnight. Since the hair is not soaking wet, it is at less risk for hygral fatigue, over-conditioning, and becoming limp and mushy. If you’ve done everything you possibly can and your texture just won’t come back, a trim or cut may be in order. Since the ends of the hair are the oldest, it is likely that most of the damage to heat straightened hair is concentrated at the ends. Luckily, that can be resolved with a quick or gradual trimming away. More severe heat damage will require more cutting. Ultimately, severe heat damage cannot be undone. If you are at this point, determine what method will work best for growing out more healthy hair and getting rid of what is damaged – either with a major or big chop, or long term transitioning. How did you repair your heat damage?